Is genomic data a boon or a hurdle for conservation? Aaron Shafer and Jochen Wolf take a strong stance on the issue in a newly-published review in Trends in Ecology and Evolution: genomic data could be really useful for conservation, but not until more effort is put into bridging the basic-applied research gap. Under the premise that assisting conservation of the world’s biota is its ultimate purpose, the emerging field of conservation genomics must openly and pragmatically discuss its potential contribution toward this goal. While there are prominent examples where genetic approaches have made inroads influencing conservation efforts (e.g., Florida panther augmentation [8,9]) and wildlife enforcement (i.e., detecting illegal harvesting ), it is not immediately clear that the conservation community and society more broadly have embraced genomics as a useful tool for conservation. At its core, genomic data provides a drastic increase in the number of potentially informative markers for some of the most fundamental and important components of conservation genetics, such as the estimation of demographic parameters and describing the viability of small populations. On top of that, the promise of identifying adaptive loci offers a huge benefit in prioritizing the conservation of unique populations. But as the authors point out, the interpretations of these analyses are often difficult and the availability of user-friendly analysis pipelines is expectedly lagging behind. And since other novel aspects of genomic data (eDNA and transcriptomics, for example) are still mainly in exploratory phases, where does that leave the actual benefit of genomics to those with conservation questions? Here, we propose that conservation practitioners are best served by focusing on broad-scale population genetic patterns that might be relevant to conservation issues of interest. From a practical viewpoint, the difference between three and five migrants per generation is not important, but three versus 500 is. Shafer et al. describe a conservation genomics gap that is preventing the application of genomic data to conservation problems. And as the technologies associate with sequencing leave the Sanger sequencers of the world to rot, those who aren’t prepared to make the jump may be left behind. …advances in genomic methods might contribute to an increasing gap between research and application without a concerted effort on the part of both scientists and conservation practitioners to build effective bridges. 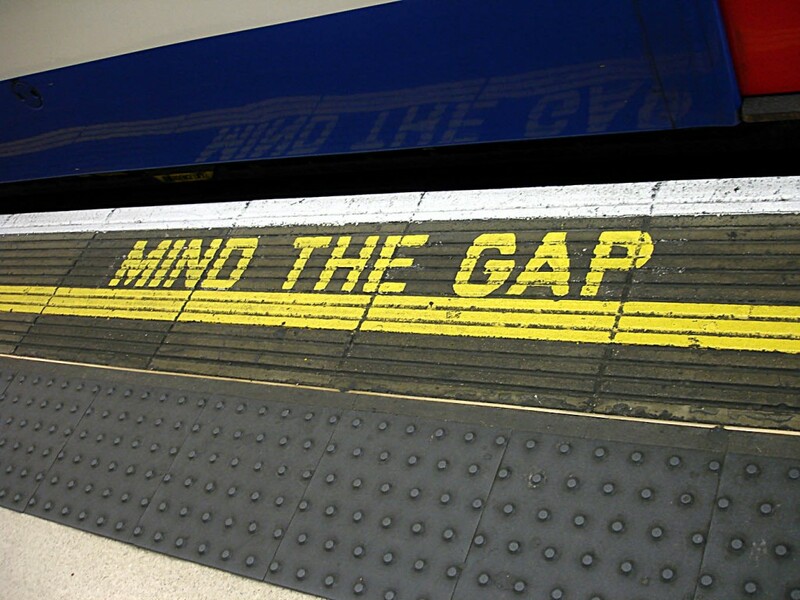 Broadly speaking, these gaps can be described in terms of the knowledge, tools (i.e., standardized methods and user-friendly analytical pipelines), finances, and communications needed to link fundamental research with applied science. The real debate here is one of funding for basic and applied research and the call for “real-world” application of genomics. 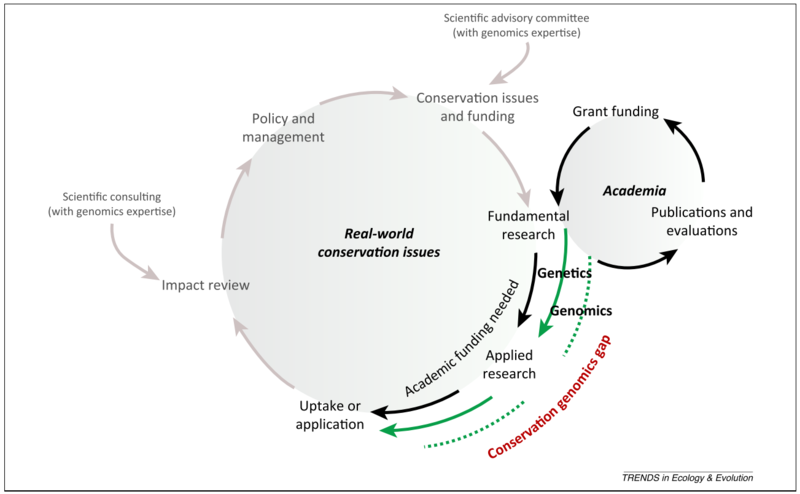 However, there is a more systemic problem with the current state of conservation genomics, in that there is little incentive for academic researchers – whom in many ways lead the conceptual debate and the development of genomic tools vital to application – to engage fully in applied conservation. Applied conservation genomics research is generally not reinforced in current funding schemes and some academic research is branded as conservation (perhaps only as a selling feature for publication), even when it has little real-world conservation value. Strong words hopefully beget strong discussion and solutions for this problem. This entry was posted in conservation, genomics and tagged review. Bookmark the permalink.